May the odds be with you –but frankly they’re not. More than 60% of doctors over the age of 55 have been sued at least once, according to a new survey by the American Medical Association (AMA). Doctors are not the only professionals at risk. Virtually all small business owners and professionals face multiple risks from the person injured at a party on one of your properties, the “friend” who borrows your jet ski and hits a swimmer, dissatisfied customers, disgruntled employees, and unhappy ex-partners. It is a simple reality: We live in a hostile legal environment, and the chance you will not face costly litigation at some point in your career is not good. The good news is that you can fight back. Here is a quick summary of our “Porcupine” Asset Protection Strategy with tested legal strategies that can help protect your investments and property. Note: This 10 Point Checklist is for those persons who have interests in one or more Florida entities, such as a corporation, limited liability company (LLC), or limited Partnership (LP). 1. Annual Fees. In January the State of Florida will send notices via email reminding you that annual fees for each corporate entity are due no later than May 1. Do not wait to get an email notice from the state, as your fees are due regardless of whether you get a notice. Remember: The deadline to pay these fees is May 1 without penalty. Big Question: Can your practice survive if you suddenly die or become incapacitated? Recently, a highly respected physician suddenly died owning 100% of his practice in a Professional Association. No other person was listed on Florida’s Sunbiz.org as an officer. Payroll was paid on a weekly basis. Even though the Professional Association had been assigned to the doctor’s living trust, the bank (a large Florida bank) refused to give the successor trustee access to the Professional Association’s bank accounts citing F.S. 621.06, 621.09 and 621.11. The statutes cited limit ownership of a P.A. to a licensed professional. We contend the Bank’s interpretation is overly narrow because no court has held that transfer of any interest to a living revocable trust is a transfer of beneficial interest. A living revocable trust is essentially the settlor. Although we believe the bank’s interpretation of these statutes is wrong it is not worth fighting the bank. 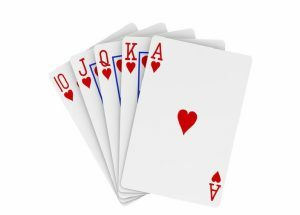 The bank holds all the valuable cards: the King, the Ace and of course all the money. As most attorneys know, a Florida LLC needs to be multi-member so members are afforded the highest protection. This is the result of recent state legislation which has clarified a charging order is the exclusive remedy against a multi-member LLC, but not against a single member LLC. For more background on the new LLC law, see our past reports, Beware of Single Member LLC’s; Olmstead Patch Bill Signed by Governor; and 4 Take-Away Points To Know Under Florida’s New LLC Law. This raises the question, if the LLC should be multi-member, who are good candidates for additional members? If a person is married, the obvious candidate may be the spouse. However, if the spouse is not a good option, or if the client is single, it may be advisable to consider a Children’s Trust, Grandchildren’s Trust, or life insurance trust as the second member. Such trusts would typically be structured as irrevocable grantor trusts. Here is a simple fact: most small businesses cannot afford or even survive a major dispute between partners if the dispute ends up in court. 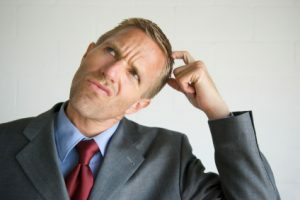 Such disputes can doom the small business due to interruption of the company business, distract the principal partners from focusing on growth, and soak up all capital needed to sustain the company. 1. No weak links. Each physician in group has personal creditor protection plan. The goal is to have no exposed assets for plaintiff malpractice attorney to attack forcing plaintiff to settle within insurance policy limits. See points 2-5 below. 2. Each physician has domestic or off-shore asset protection trust to protect non-qualified equities and other liquid investments. If domestic trust, consider top tier state jurisdiction such as Nevada. If off-shore, consider clean jurisdiction with sophisticated, modern laws designed to provide maximum protection against creditor attack, such as Nevis or the Cook Islands. Note: Consider multiple layers, such as Nevis LLC owned by Cook Island Trust. 3. Each physician has Delaware LLC or other entity to protect wages. A Florida wage account is limited to 6 months and therefore often not the best solution. 4. Each physician has homestead fully protected. If homestead in municipality exceeds ½ acres it is not protected by Florida homestead law. Consider deeding exposed property to corporate entity with 99 year lease to preserve homestead tax benefits. If homestead is not in municipality then 160 acres are protected. Consider leaving mortgage on property – even if not necessary – as good asset protection option. The mortgage can be paid down to avoid creditor attack. 5. Confirm investment rental properties and non-homestead real estate are protected by having title in multi-member LLC with operating agreement updated to take advantage of new Florida LLC law. Note: Do not have LLC without asset protection Operating Agreement drafted by an attorney who concentrates in corporate or asset protection law. 6. Office Space: If group practice owns condo office space or other real estate this property should likely be owned by a separate LLC or LP and leased back to the Group. Exposed real estate is low hanging fruit for creditors. Remember if the practice is to be judgment proof there should be no exposed assets. 7. Confirm IRA’s, pensions and similar plans are properly managed. Private pension plans must strictly follow complex regulations. You likely need a CPA or investment advisor experienced in pension plan administration. See Item #21. 10. Conduct annual review of group corporate records to make sure basic corporate formalities are followed so that corporate veil cannot be pierced using alter ago theory. If professional association check if: (a) annual corporate minutes up to date; (b) separate corporate bank account; (c) stock certificates clearly show each partner’s interest; (d) tax records sync with corporate record. 11. Make sure individual medical malpractice policy and possible corporate malpractice policy in place. Conduct annual review of policy limits with medical malpractice broker who specializes in med-mal insurance. 12. Individual checking account you use for monthly expenses: If married, title as Tenants by Entirety (TBE); if single consider placing title in Delaware LLC. 13. Umbrella policy. This is a good, cost effective insurance product but make sure you check for gaps in policy. All insurance policies have limits and exceptions; make sure the “Umbrella Policy” does not contain gaps. 14. Insurance coverage to avoid business interruption or threats to profitability of practice: (a) Disability insurance; (b) Overhead insurance to cover practice expenses during period of disability; (c) Workers compensation insurance; (d) general liability insurance to cover slip and falls in office or parking lot; (e) adequate auto insurance. 15. Theft proof practice monies and accounts receivable. Have strict system for logging in all checks in master log and ensure properly deposited. No one person should control check logging system. In larger practices, have someone from CPA firm periodically review check logging system without notice. 16. Ensure trust systems in place for children and loved ones. Note: Make sure your estate plan is integrated with your asset protection plan. 17. Protect vacation home: Consider to title in LLC, Limited Partnership, or Tenancy by Entireties. 18. Auto and motor vehicles: If married, title in name of person who drives vehicle the most; not in joint name. Make sure all vehicles are adequately insured. 19. Boats or jet skis: Title in name of LLC with asset protection operating agreement. 20. Schedule target completion date for your asset protection plan. Write the date down on your office and smart phone calendars. Plan when the waters are quiet – prior to any lawsuit. Waiting too long may limit planning options and enable attack via the Florida Uniform Fraudulent Transfer Act, F.S. 726. 21. The most important item: Have team of experienced, caring professional advisors consisting of: (a) CPA; (b) estate and asset protection attorney; (c) qualified financial and pension plan advisor; (d) medical malpractice insurance broker; and (e) general liability insurance advisor. planning attorney, guru, and friend. Alan is the author of Creditor Protection For Florida Physicians, an excellent and insightful book for physicians, attorneys, and CPA’s; it is available on Amazon.com.